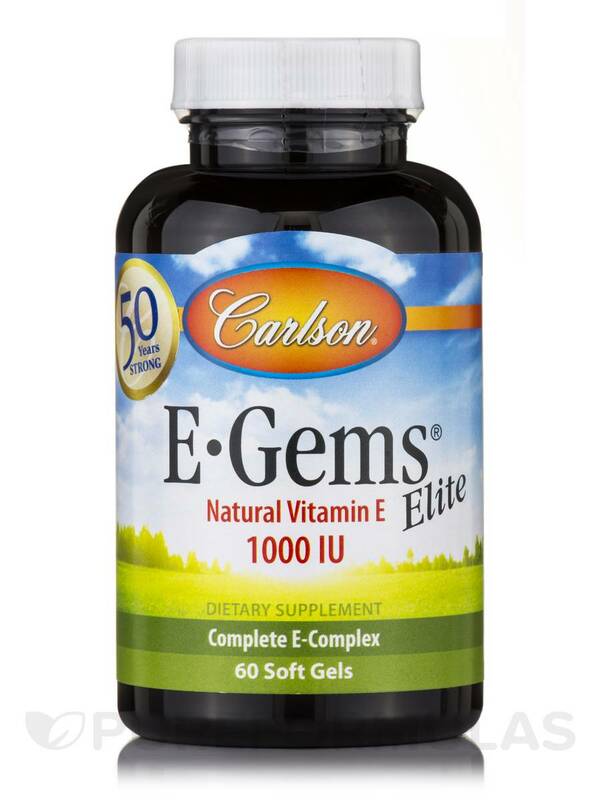 E-Gems Elite 1000 IU prevents the formation of unstable compounds in the body. E-Gems Elite 1000 IU may fight foreign microorganisms that destroy the structure of cells. 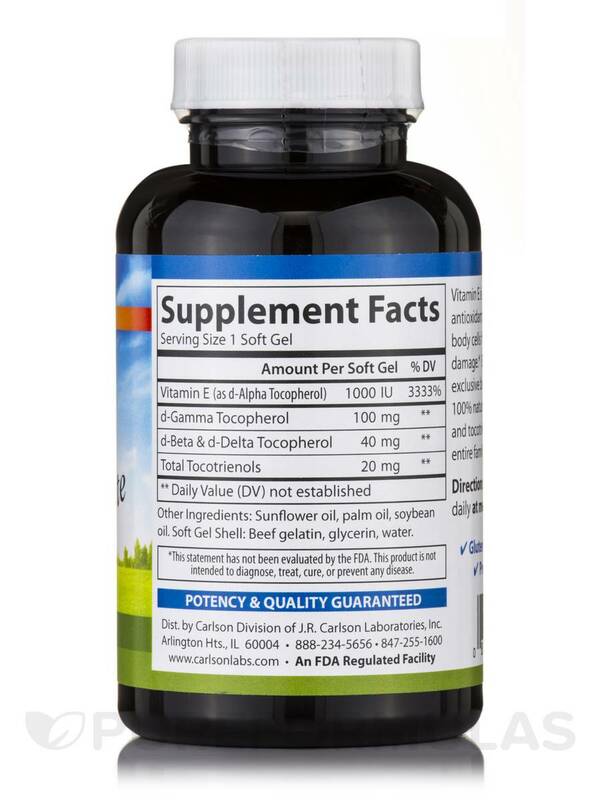 Vitamin E (Tocopherol) prevents the body from forming reactive oxygen species (ROS). ROS are sometimes formed when the body converts food into energy‚ and have damaging effects on cells. 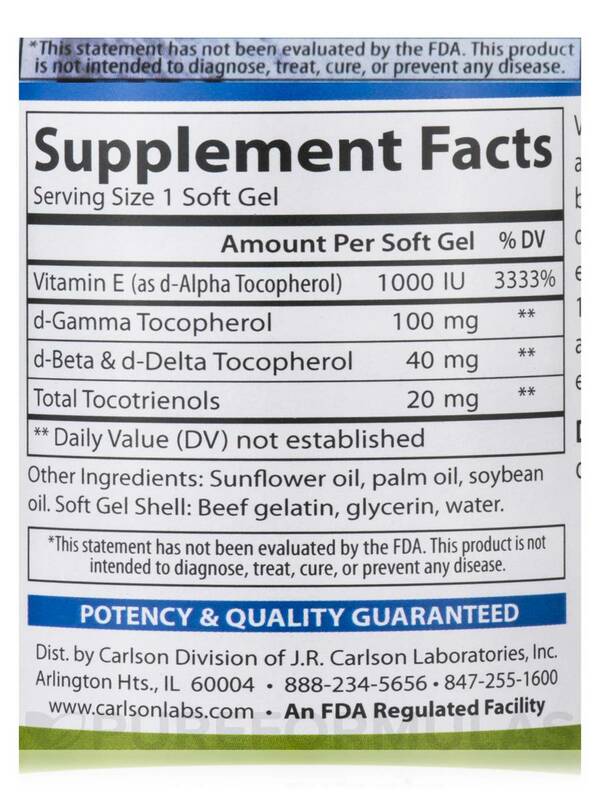 Tocopherol supports the immune functions‚ and helps increase the production of Prostacyclin‚ which helps to dilate blood vessels. 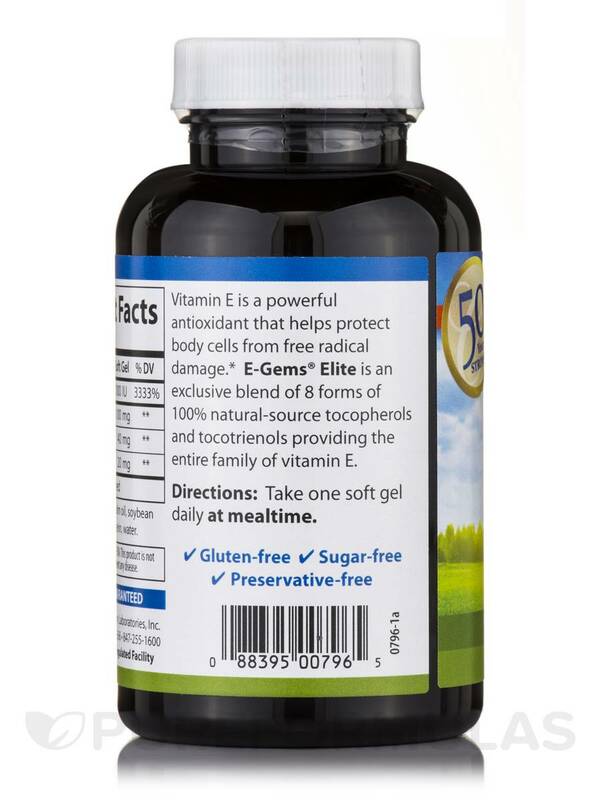 Vitamin E may minimize oxidative reactions‚ to speed up the healing process of wounds. 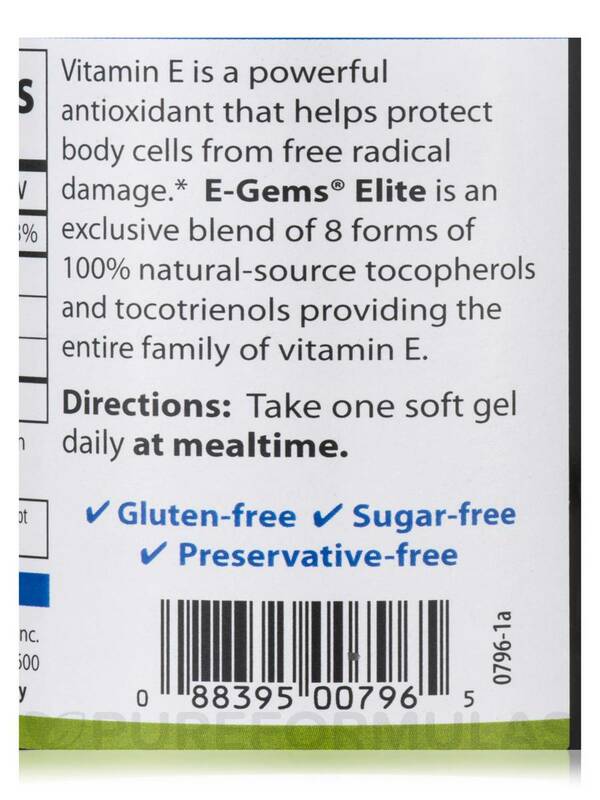 E-Gems Elite 1000 IU potentially moisturizes the surface of the skin.